A 26-year-old woman presented with progressive difficulty ambulating and upper and lower extremity numbness. 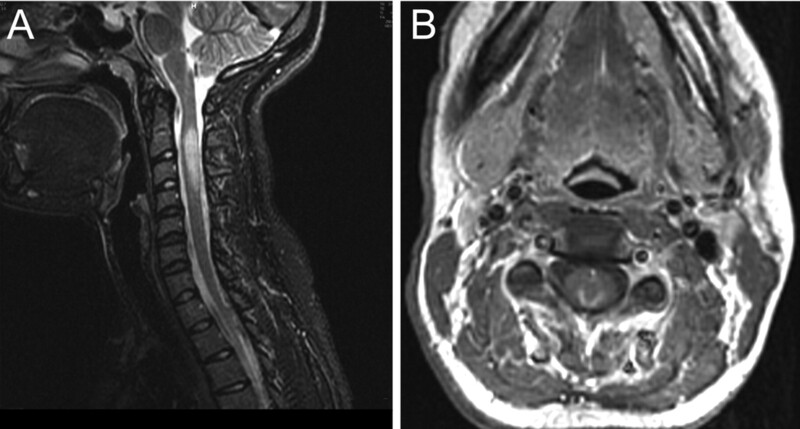 Clinical examination showed dysesthesia and an allodynia sensation in the bilateral upper and lower extremities. She also demonstrated primary dysmetria and incoordination especially on finger to nose testing. Reflexes were extremely brisk and the gait was ataxic and unstable. CSF analysis revealed increased IgG synthesis rate and oligoclonal banding consistent with multiple sclerosis.